Whether it is about global shipping plans, tracking a consignment, or managing tons of freight on board; every challenge is achievable with ease. Technology has definitely changed the face of the transportation industry. Today, the transportation industry is extremely competitive, accelerating the flow of goods throughout the consumer market. Highly integrated supply chain network connects producers and consumers through numerous transference modes. Being substantial, transportation industries are able to circumscribe everything that is used to move goods on land, sea, or air. They are hinged on support from companies which can furnish them with the precision machining services and components they need to get the job done. Transportation Industry has suffused every area of our lives. It has surely kept the global and domestic economies from being splintered. Noble Precision’s state-of-the-art advanced and meticulous CNC Machining Service along with its extensive knowledge of transportation industry requirements integrate in the most suitable manner. 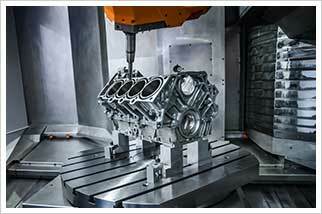 The most complex manufacturing needs are met with the CNC machining capabilities. Each component is customized based on the client’s specifications and requisites. Besides being immensely dependable, accuracy and process efficiency are significant factors of Noble Precision’s CNC Machining Services. A system of high-precision components is required by Gun Drilling Machines to fabricate deep holes with the required specifications for the transportation industry. Gun-drilling is a deep-hole drilling process that uses a long, thin cutting tool to produce holes in metals at high depth-to-diameter ratios (diameter ranging from 1 – 50). Extreme depths can be met beyond the possibilities of a conventional machinery. Domain experts, experience, and technically advanced systems (multi-axis CNC horizontal drills) to drill explicit holes for even the most sensitive applications make Noble Precision the most reliable and outstanding provider of gun drilling services for the transportation industry. With great competition and enhanced productivity, Noble Precision has made a mark of its own, fabricating high-precision solutions (molds) with comprehensive capabilities, advanced technology, and sincere commitment toward its clients. To augment your manufacturing efficiency, it is most logical to invest one time, (keeping in mind “quality”), in molds or frames; these being important sections in the repeated production of parts or components. The Transportation Industry comprises of automobiles, ships, trucks, railroads, locomotives, etc. These require maintenance using various types of unique welding and fabrication solutions for each application. All the unique needs are met with ease and specifications at Noble Precision. With the latest technology, skilled professionals, and a zeal to deliver the best, Noble Precision is proficient of handling and processing any welding/fabrication requirement of a transportation industry project. It may sound like a normal aspect of any manufacturing unit, but the process can be quite challenging. Noble Precision’s quality and customized equipment are designed to meet the most meticulous requirements. Beyond welding/fabrication services, Noble Precision integrates finishing and paint application process, resulting in ready-to-use parts for our end users. By now we have understood the significance of the transportation industry and its economic effects on other manufacturing units. Many production processes and manufacturing units are involved in this establishment, such as machining, drilling, molding, welding, and forming. In addition to these assembling metal or plastic parts into components and finished products is also an important aspect of manufacturing. Besides Noble Precision’s expertise in manufacturing parts and components, assembling and testing products under one roof offers the following added advantages to our end users. 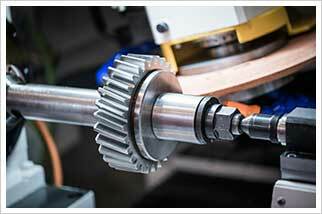 A manufacturing unit is not just about producing required parts and components. It is about the confidence entrusted on the unit by the clients that the outcome would be just perfect. Noble Precision’s machining, drilling, molding, fabricating, and assembling services are provided with the best of efforts resulting in accuracy and absoluteness. Every part produced is meticulously tested for its quality and precision. Checking fixtures is another name of inspection/evaluation. It is as important as manufacturing or producing a part or a component. With the use of 5-axis simultaneous CNC machines, the latest in CAD/CAM software technology, and skilled experts, Noble Precision’s quality assurance team exceeds expectations to deliver high-quality solutions. A stamping die is a unique precision tool that cuts and forms a metal into the desired shape. This process is an important section involved in the production of parts in a manufacturing unit. The quality and tolerance of the end-products are directly proportional to the exactness of the die. Noble Precision’s state-of-the-art 5-axis simultaneous CNC machines and the latest in CAD/CAM software technology have the proficiency to handle and satisfy any unique stamping die requirements. There are different kinds of stamping dies performing two basic functions – cutting, forming, or both. Manually or robotically loaded dies are referred to as line dies while progressive and transfer dies are fully automated. Noble Precision designs and produces dies for all methods of metal stamping, including the ones mentioned above. It is proficient to meet even the most demanding stamping specifications. Noble Precision provides a wide range of manufacturing solutions for the transportation industry and meets all the requirements of the clients under the same roof which is definitely a boon for clients. The state-of-the-art 5-axis simultaneous CNC machines and the latest in CAD/CAM software technologies enable us to keep up our commitment to quality and flawless production. Call the experienced tool and die manufacturers at Noble Precision today at 647-499-7569 or contact us to schedule a consultation on the services and support that we can provide through our state-of-the-art 5-axis simultaneous CNC machining.